Rocksalt is for everyone attending Primary School. Every week we aim to teach children about the Bible, the wonder and love of God in a fun and informative way. Be it via crafts, activities or re-enacting the story. 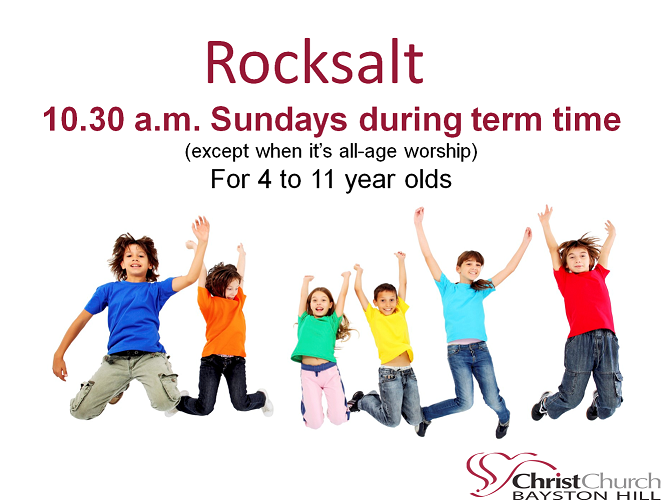 Rocksalt takes place every Sunday during term time and we would love to see you there. Children to stay in church for the service. Flag waving and other great activities. Making cards for mums and planting some flowers. Peter will be joining us to look at all things Easter. Easter Day: Easter Day quiz and Easter Egg Hunt.